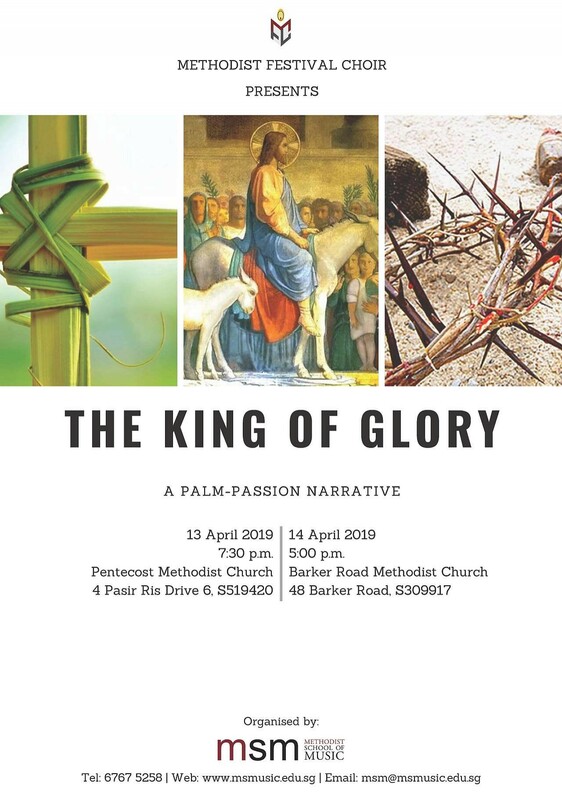 Come join the Methodist Festival Choir (MFC) in commemorating Palm-Passion Sunday. Prepare your hearts for the Holy Week by encountering afresh – through Scripture and song – Jesus’ triumphal entry into Jerusalem and His cruel journey to the cross. Come, listen, sing, and be blessed! Admission is free. Organised by the Methodist School of Music, for more information, please visit www.msmusic.edu.sg, email msm@msmusic.edu.sg or call +65 67675258. The Methodist Festival Choir was formed in 2013 as a platform for fellow Methodist and non-Methodist choristers to sing together and support one another in the music ministry.